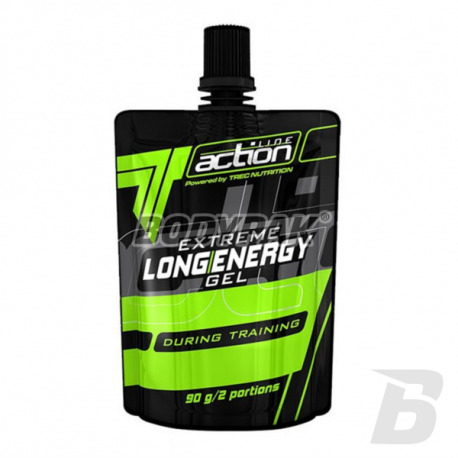 TREC LONG ENERGY GEL is a tasty and effective supplement about training in the gel. You will not find on the market a more informed and effective formula of leveling fatigue and energizing to work! The manufacturer made sure that you were fully satisfied with supplementation. You will not have more to worry about that exaggerate the amount of exercise and thus the body becomes weaker - gel is a solution! TREC LONG ENERGY GEL is a professional gel for use during strenuous, lasting more than 40 minutes. The product inhibits the first symptoms of fatigue and helps maintain high-intensity exercise and quickly replace lost energy reserves. It provides not only carbohydrates, but also the components involved in their metabolism. Thanks to the special formula HYDRO GEL active ingredients LONG ENERGY GEL begin to be absorbed already in the mouth, quickly reaching into the bloodstream and then to the working muscles. 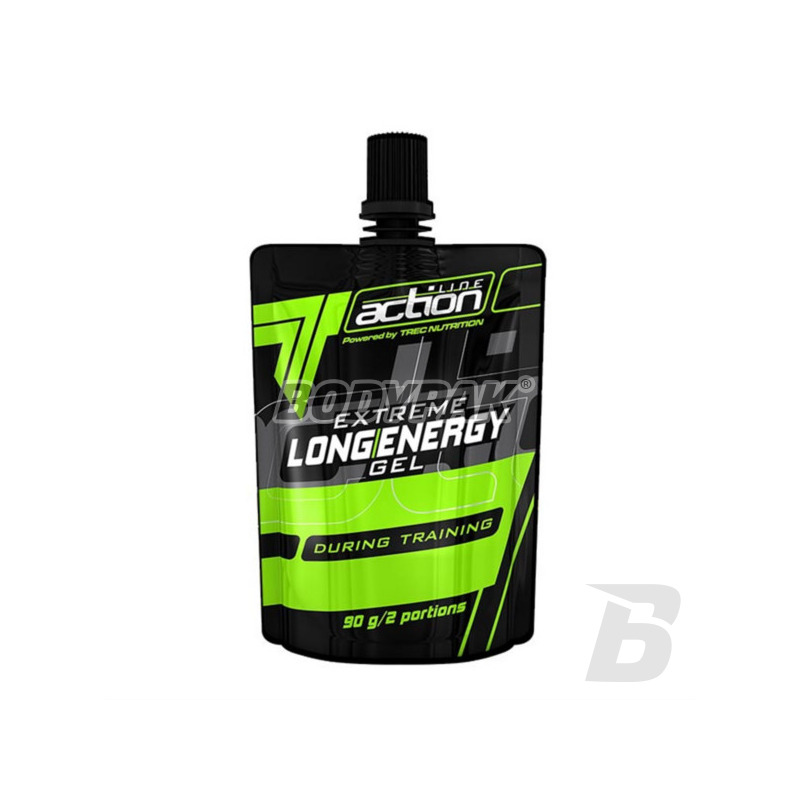 TREC LONG ENERGY GEL - LONGER intensely BETTER! Składniki: woda, maltodekstryna, dekstroza, izomaltuloza (źródło fruktozy i glukozy), l-glicyna, tauryna, aminokwasy Rozgałęzione (L-Leucyna, L-Izoleucyna, L-Walina), beta alanina, l-karnityna, Ekstrakt Guarany (Paulinia cupana)[10% Kofeiny], substancje wypełniająca (guma guar, guma ksantanowa), regulator kwasowości (kwas cytrynowy), substancje konserwujące (sorbinian potasu, benzoesan sodu), kofeina bezwodna, substancja słodząca - sukraloza. Niesamowity zastrzyk energii w trakcie wysiłku, super sprawa!